Join us in supporting new artists and new work, and continue to raise the bar of excellence in Asian American theater. Ma-Yi Theater Company is grateful for the generous donors who support our programs. Ticket sales cover only a portion of our operating expenses. Your donations help us to continue making the exciting new work you have come to expect from Ma-Yi. Please consider making a donation to Ma-Yi Theater Company. In return we offer our donors several benefits like discounted ticket offers, reserved VIP seating, and private receptions with the cast. To contribute: click below to make a tax-deductible donation; call 212.971.4862; or mail a check payable to Ma-Yi Theater Company, 520 Eighth Avenue, Suite 309, New York, NY 10018. 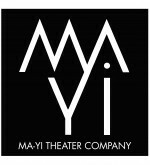 Ma-Yi Theater Company is a 501(c)(3) not-for-profit organization as determined by the Internal Revenue Service. All contributions are tax-deductible to the full extent allowed by law. A statement of receipt acknowledging your contribution and exemption eligibility will be sent to you by mail. Thank you for supporting Ma-Yi Theater Company! Ma-Yi is often looking for volunteers to assist in different aspects of production and administration. During each mainstage show, we enlist the services of volunteer ushers – a great way to see a Ma-Yi show for free! We also hire interns on an as-needed basis year-round. If you would like to volunteer with Ma-Yi Theater Company, send an email with your name, contact information, and what type of opportunity you are interested and we will keep it on file. If we are looking for volunteers, we will contact you. Thanks!